Standard Ski Chairlift Bench The Ski Chairlift Bench is a great alternative for .. 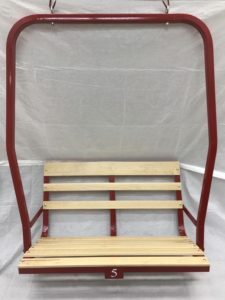 The Ski Chairlift Bench is a great alternative for customers who do not have a solid mounting place for the Ski Chairlift Swing but love the look and feel of it. The freestanding bench offers an excellent alternative for such customers without compromising the rich, characteristic ambience inherent of our ski lift furniture range. 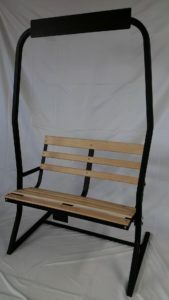 Ski Chair Lift Swing Find a beautifully restored Ski Lift Chair for sale here. O..